STATUS: Active, will be discontinued once stock is depleted and replaced by 0413278002 and 0413334002. 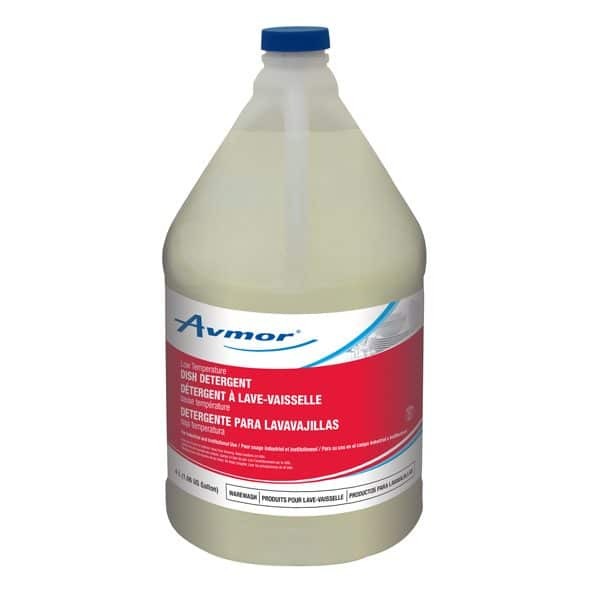 AVMOR LOW TEMPERATURE DISH DETERGENT is a premium low temperature detergent designed for use on all commercial dish and glassware washers. 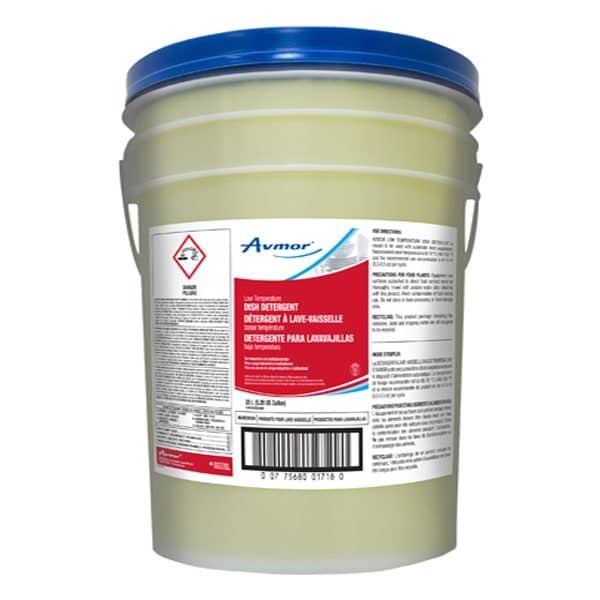 AVMOR LOW TEMPERATURE DISH DETERGENT is meant to be used with automatic feed equipment. Recommended wash temperature is 60-70 °C (140-158 °F) and the recommended use concentration is 9-15 ml (0.3-0.5 oz) per cycle.